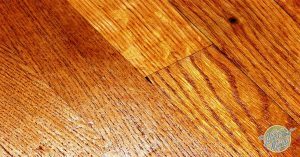 Foot traffic, pet accidents and spills all take their toll on floors. But there’s no need to make a trip to the store for a chemical floor cleaning solution. If you don’t have any nuts on hand, reach for your change jar—rubbing the scratch gently with the edge of a quarter, dabbing it with paste wax and buffing it with a soft cloth can also conceal the mark.